The Atomos Samurai Blade 5" SDI Monitor & Recorder provides you with an all-in-one HD-SDI recorder, monitor, and playback deck, and a hard carry case with foam insert to keep it protected when traveling. 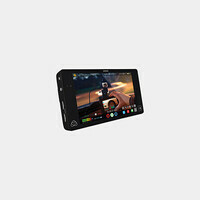 At 1280 x 720, the Atomos Samurai Blade offers a higher resolution touchscreen IPS display than previous Atomos models. 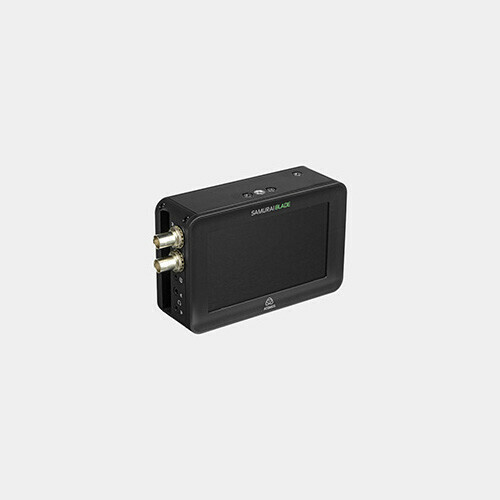 It records from uncompressed video at up to 1080/30p/60i directly from your camera's HD-SDI output. The Samurai Blade records to a 2.5" HDD or SSD in edit-ready Apple ProRes or Avid DNxHD codecs, and features professional monitoring features such as waveform, false color, and focus peaking. It comes included with a docking station that offloads these drives to your computer via USB 3.0/2.0, as well as a Sony-type NP-F570 battery, charger, AC adapter for continuous power, D-tap battery adapter, and two master caddies.